Starting with an oldie but a goody, this MAC bronzing powder was one of the first bronzers I ever bought. I love it! It gives me an all over golden shimmer, recently my usual contour colour ran out and I used this instead and it did the job so well. On my skin tone, it gives a subtle contour perfect for everyday. My shade is ‘refined golden’, you can see from the picture that it has a very slight shimmer to it which looks amazing in the sun! 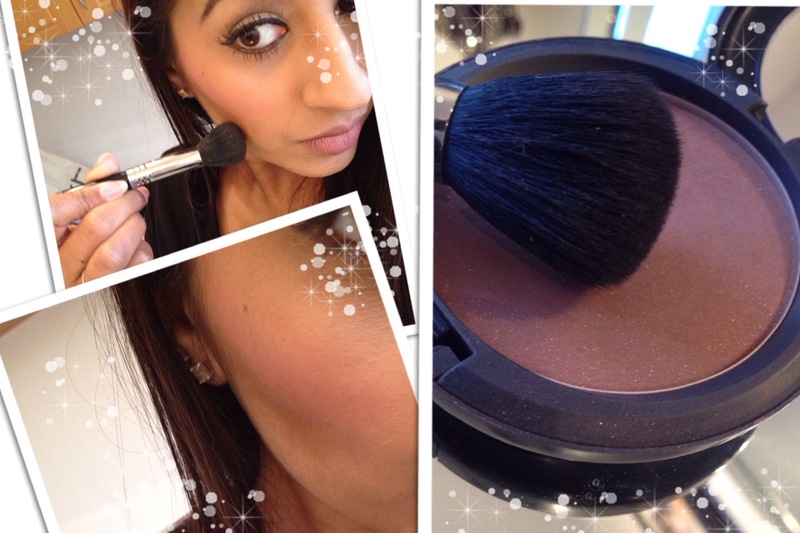 You can get this MAC bronzing powder from Selfridges. 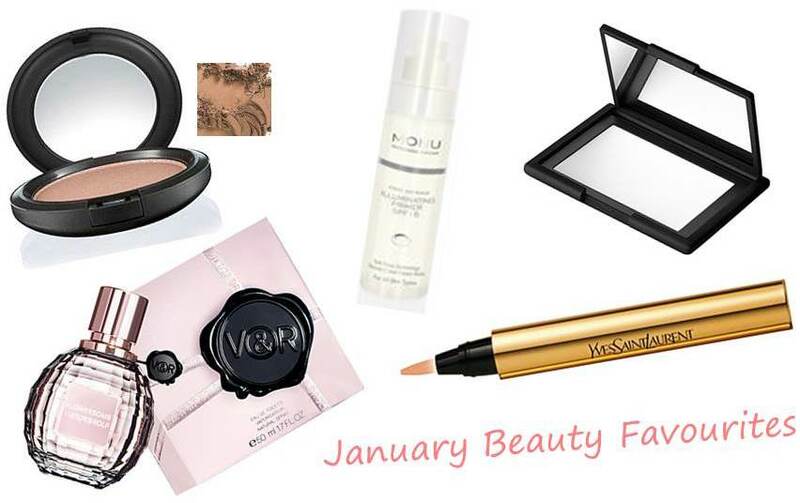 I got the Monu Illuminating Primer in my October Glossybox last year and it is the perfect January skin reviver. It instantly brightens my complexion (even on those really tired days) and is a great base for make-up application. It’s light reflecting so it gives you a gorgeous healthy glow. You can buy this from feel unqiue. When you have finally found your perfect foundation match, the last thing you want to do is change the colour in any way with a setting powder. That’s why I love the Nars Light Reflecting Setting Powder, it dusts on all over your face to take away shine without changing the colour of your foundation. It instantly brightens your complexion without changing your skin tone. It is also available as a loose powder so you can choose which one you prefer. The best bit is, the Nars packaging which just looks so luxurious! The compact is super skinny so there is no problem slipping it into even the smallest of clutches. You can buy this from Selfridges and John Lewis. Flowerbomb by Viktor & Rolf was on almost every Christmas wishlist, it was definitely on mine and I was lucky enough to get it from John Lewis. This scent is amazing, everyone is always asking me what I am wearing. Even if you do not usually like sweet or floral fragrances, this one is different. I love this story ~ She arrived home. The house smelt different. ‘Has he bought me flowers?’ she thought with a smile. But she saw no flowers. She walked upstairs; it smelled of lilies and freesias and roses… ‘Has he bought me perfume?’, she wondered. But there were no new perfume bottles in her bathroom. Then she felt a sudden gust of wind and turned around. Was she dreaming? A pink explosion clouded over the bed covering it in flowers. ‘I am Flowerbomb’, it whispered, ‘your perfect gift…’ It’s available at Selfridges, John Lewis and Debenhams.